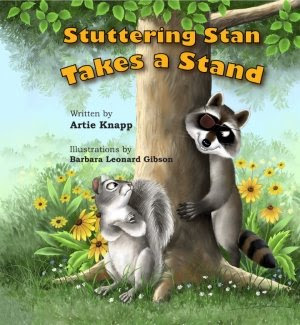 One of my readers Lyla recommended Stuttering Stan Takes a Stand children's book to me: more info on the National Stuttering Association website and an interview with the author Artie Knapp. Reading or giving such books to stuttering kids is certainly a good way to take away some of the pain and embarrassment of stuttering. And please an appeal to all researchers, do not do any research on the efficacy. It is dead-end research. Everyone with a bit of common sense knows that such a book is great to get the message across that you are OK even if you stutter. However, you can write articles and reviews. 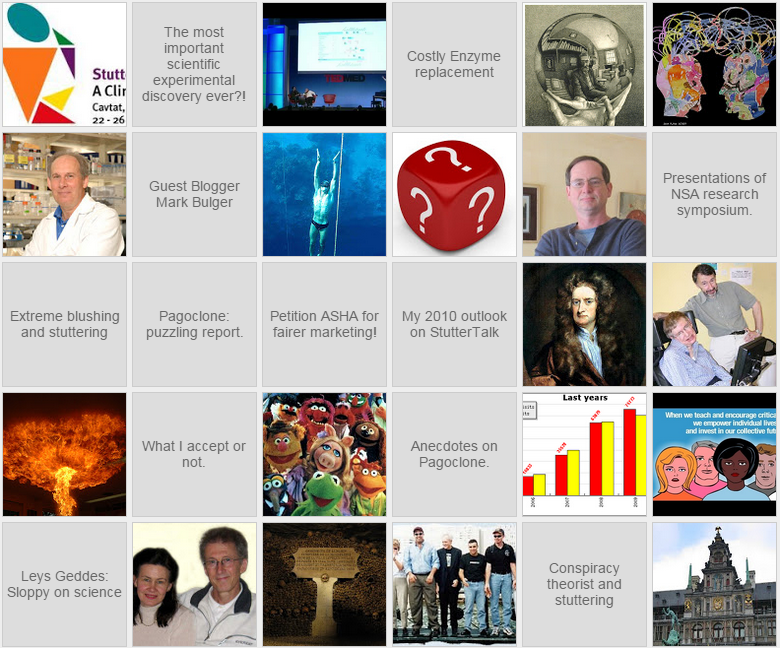 It's also a good way to increase awareness of stuttering. Recently in Australia there was a series of TV commercials featuring children with Tourette's syndrome. The message was something like, "we're just like you, except we do these kinds of things, and we can't help it" (I can't remember the exact wording). Stutterers haven't made their condition public in this way, and I suspect it's because it's in our nature to avoid any attention to our stutter. The message must be conveyed to the wider community (particularly to children) that we are just like everybody else - we're not stupid, we're not weird, we're not nervous, we're not disabled - we just happen to have a communication problem. And only us stutterers can convey this message. Your book is all over the place! I have been reading so many good reviews and it is definitely a book to be shared in the schools. I stutter too and as a child, this would have been great for my classmates to read to better understand my stuttering and perhaps, reduce the bullying caused by my stuttering. I am lucky to belong to a great self-help organization for people who stutter - the National Stuttering Association (NSA - www.westutter.org) that provides the opportunity for people who stutter to meet and interact with other people who stutter at local chapter meetings, workshops and annual conferences in which over 600 people who stutter (including kids and teens) attend each year! I am sure we will see this book on the table there next year! This is definitely one for all teachers and SLPs to buy and share!